How to Tell if Your Water Broke or You Peed? You are here: Home / Pregnancy / How to Tell if Your Water Broke or You Peed? Telling amniotic fluid from urine is harder than you think. This post will give you three steps to tell if your water broke or you peed. Did your water break or did you pee? While there are some outliers there are three simple steps to see if your water broke or if you peed. I know this because I’ve been an L&D nurse since 2001 and have seen hundreds of patients who think their water has broken. 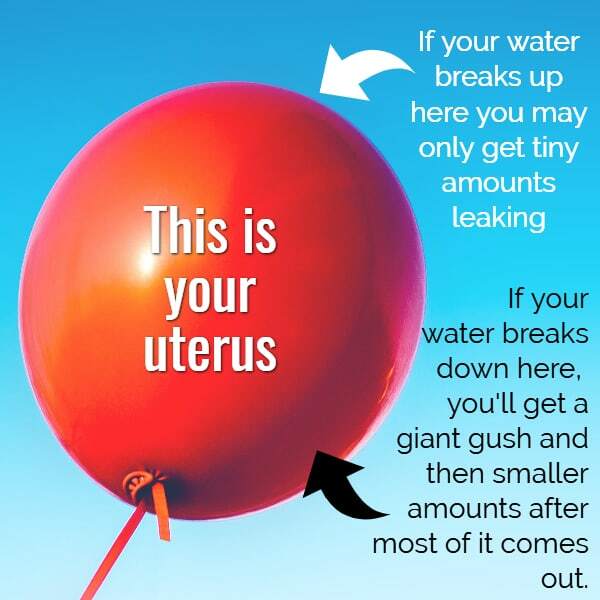 Don’t miss my whole Is my water broken quiz that will give you more info on amniotic fluid, and how to tell if your water is broken. **Be sure to talk to your doctor if you think your water has broken. This post is just for reference and does not take the place of medical advice. But, I love this class most of all for giving you all the advice you need (but not so much you get overwhelmed). Did you feel a “pop” — while this isn’t a tell-tale sign (a lot of people’s water breaks when they are asleep, so you may not feel it then) but most people say they feel a “pop”. If you didn’t feel a pop it may be your water broken, or it may be something else. How do you tell if it’s your water breaking or pee? Did it just gush once? A one-time gush often means pee. If you get a gush of fluid, and then you go about your business and nothing comes out — it is likely you peed. Baby kicks. If the baby kicks your bladder, you may leak some urine. Bladders weren’t really prepared for inside kicks. Baby’s bad — not yours. Squished. Your bladder just has less room than it had before. Most people just don’t have the time to empty their bladder every half an hour because their uterus is squishing it. Relaxed. Your body sends out hormones to RELAX your body. That allows the baby to sink into your pelvis (squishing your bladder even further) and that muscle that controls your bladder relaxes a bit too. **This is not something to be embarrassed about. A lot of women just wear a pad the last few weeks of pregnancy to prevent needing to change your undies or embarrassing moments because of a tinkle. How do you know it’s that your water broke? It is really hard to tell amniotic fluid vs pee or just sweat or other discharge. The one way to tell it apart is that it keeps coming out. Like I mentioned above, if you gush once, it’s likely not amniotic fluid. Amniotic fluid normally keeps coming out. While lying down, raise your hips — a lot of times baby will shift and more will come out. But, just regular household work will usually allow more to come out if your water is truly broken. Again, if you have a question — call your doctor. Or, get some more info on my water breaking quiz. Your doctor’s office or the hospital has a test called “Amnisure” that can test if your water is TRULY broken, and if you’re still not sure — that’s the best place to have it checked, so you’ll know for sure. Keep in mind the amount of amniotic fluid that comes out is based on where the amniotic sac ruptured. If it’s towards the top — only a little will come out — if it’s at the bottom, a lot will come out all at once, and then you’ll leak small amounts after that. We talk a whole lot more about water breaking, and other magical signs of labor in this course. The amnisure test can tell pretty difinitively if your water really broke. Does it smell like pee when your water breaks? Well, it can if you JUST peed as well, but no. Amniotic fluid does not smell like pee. What does your water breaking feel like? Most people say they feel a “pop”. Some people just have a gush. It isn’t usually painful (unless you’re already contracting when your water breaks. Can your water break while peeing? Yes, some people report, especially as they go to stand up, their water breaks. This can be disconcerting though, since you won’t know if it’s your water or just more pee. Put on a pad and walk around a bit. If it’s your water, you will likely leak more. Can your water slowly break? Umm… no? I mean, it’s either broken or not, but as I mentioned above (with the balloon picture), it can break towards the top, and only a little will come out. How soon should you go to the hospital after your water breaks. I’d call your doctor or the hospital to see what they say. Most often you have time for a shower though, unless you’re already contracting a lot. Can baby survive after water breaks? Yes. Water is made up of baby pee, and we all know babies keep peeing — so more water will be made. Can your water break while you are sleeping? Yes — in fact, I recommend women have a waterproof cover on their mattress as they get into the third trimester (actually, I always recommend one, but esepcially then, so you don’t ruin your mattress). Can you tell when your water is about to break? Most often, no — because it just happens. BUT, if you’re contracting, the odds are higher your water will break soon. Is leaking amniotic fluid a sign of labor? Well, in some ways yes — I answer more in my signs of labor post. Hopefully, that helped you out — as I said above — I would totally recommend heading over to my “did my water break” quiz — as it has not only the quiz but tons of information including what amniotic fluid looks like and more! 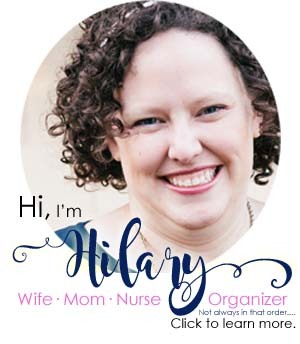 And, if you want to get prepared for your upcoming delivery, I totally recommend this online prenatal class. It’s all about you — and getting you the delivery you want. It’s for both of you — got a partner that needs to get his head in the game, this class is for you! I think you’ll really like it — and you can get 10% off with code PC10. 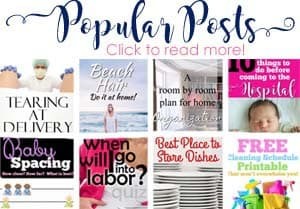 Be sure to check-out my pregnancy series that is totally free, and I have tons of other pregnancy content below that. Hello Curly Sistah! I found you through Pinterest when looking for Desert Landscaping help. I downloaded the pdf, but was hoping for a guide for planting flowers. Any ideas? On topic: My water broke when my 18 month old placed her hand on my belly, and said, “Baby!” I kept it quiet, as I was afraid that there would a line of pregnant gals at my front door, for a laying on of the hands! Ha! On leaking Amniotic Fluid: In 1981, my poor sister was leaking when 7 months pregnant, and her country bumpkin doctor told her it was nothing to worry about. RIP my beautiful nephew, Timothy Robert. Thank God for progress!! Hmm… flowers? I have had good luck with snap dragons after the frost has passed…. but I’m not much help. They die so quickly once it gets hot I gave up. Oh goodness, what a horrible story about your sister…..